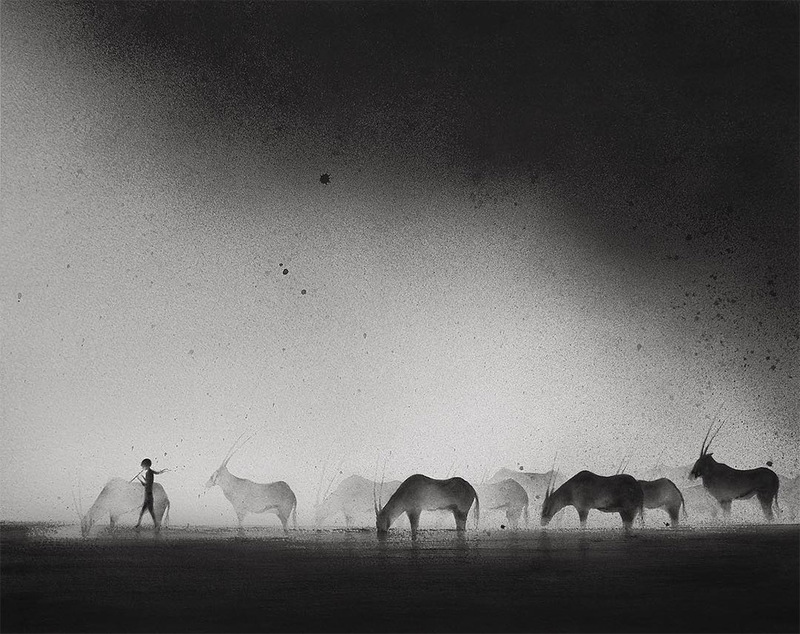 Indonesia-based watercolor artist Elicia Edijanto (previously here and here) depicts loving relationships between wildlife and children set against atmospheric backdrops painted in black watercolor. 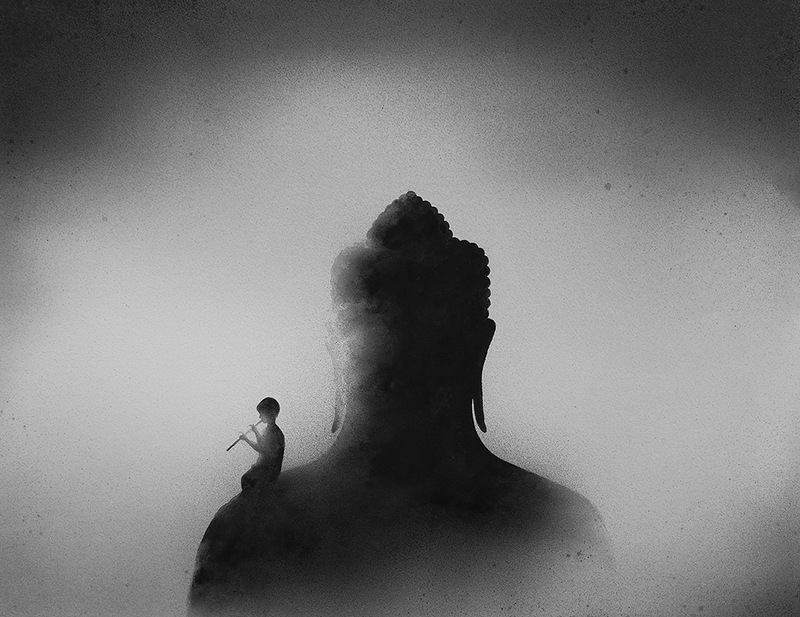 “My subject are often children and animal because they are honest, sincere, unprejudiced and unpretentious,” shares Edijanto. “They give me so much inspiration for [a] particular mood or atmosphere, such as tranquility, solemnity, and also wilderness and freedom, which I put on my paintings.” Seen here are a number of recent paintings from the last year or so, some of which are available as prints and originals via her website. You can follow her works in progress on Instagram.